Jefferson City, Mo – The day after Missourians celebrated Independence Day Gov. 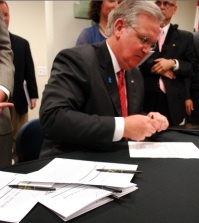 Jay Nixon signed House Bill 533 earlier this morning, expanding gun rights in the state of Missouri and vetoed House Bill 436, which would've violated several provisions of the U.S. Constitution and criminalized Missourians’ exercise of their constitutionally-protected right of free speech. House Bill 533 allows a state employee to keep a firearm in his or her vehicle while on property owned or leased by the state, allows a fire chief to carry a concealed firearm, and expresses the General Assembly’s support of responsible gun ownership. Jefferson City, Mo – Gov. 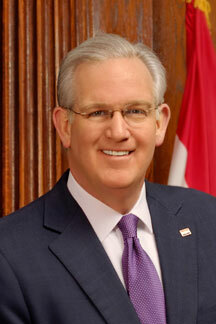 Jay Nixon today vetoed a bill that would have required the state government to create a database of every Missourian who has ever filed a workers’ compensation claim, and allowed employers to easily access this information online. “There is a stark contrast between lawmakers’ rhetoric on the issue of privacy, and their record,” Gov. Nixon said. “While professing to champion privacy rights, this General Assembly quietly passed a bill to create – and allow broad access to – a new electronic database containing the personal information of hundreds of thousands of law-abiding Missourians. WENTZVILLE, Mo. – The Missouri automotive industry scored another victory today with General Motors’ plan to invest $133 million in its Wentzville facility, Gov. 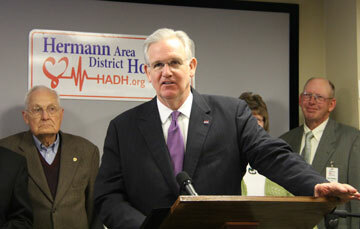 Jay Nixon announced. GM will add a third stamping press to the assembly and stamping plant, with the potential for creating or retaining 55 local jobs. The $133 million is the second major investment by General Motors in the Wentzville facility in the past two years. 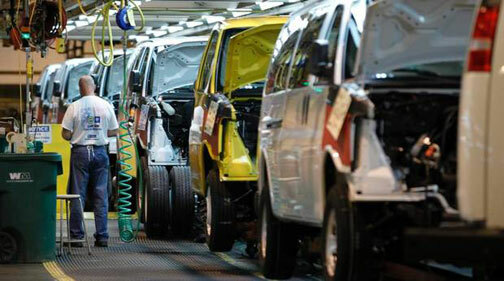 In 2011, the company announced a plan to invest $380 million and create or retain 1,260 new jobs to produce a new mid-size pickup as well as 400 new jobs to support demand for their existing vehicles. JEFFERSON CITY, Mo. – Gov. Nixon issued the following statement regarding Education Week’s 2013 Diploma’s Count report, released today, showing Missouri with the 8th highest graduation rate in the country. 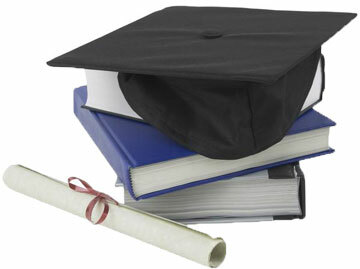 According to the report, over 80 percent of Missouri high school students graduated with a regular diploma in 2010, up 9.5 percent from 2000. This is the second year the state has been in the top 10 and the fourth consecutive year the state’s graduation rate has increased. KANSAS CITY, Mo. – Gov. Jay Nixon was joined today by area business and community leaders, including The Civic Council of Greater Kansas City at the University of Missouri–Kansas City Bloch School of Management to discuss his veto of House Bill 253, calling the bill’s $800 million price tag a fiscally irresponsible experiment that would undermine the state’s economic and fiscal health and jeopardize funding for education and vital public services. 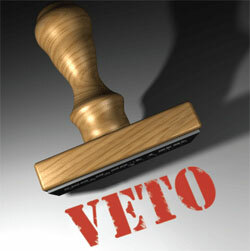 The Civic Council of Greater Kansas City, a membership organization of chief executive officers of the largest corporations and professional partnerships in the Kansas City metropolitan area, had urged the Governor to veto the legislation in a May 21 letter. Jefferson City, Mo. – House Bill 253, passed by the General Assembly earlier this month, would increase taxes on Missourians who take prescription medication if it becomes law, Gov. Jay Nixon said today. 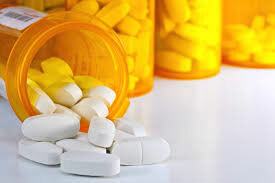 An initial review has determined that the bill would eliminate the current sales tax exemption on prescription drugs and result in an estimated tax increase of $200 million annually, the Governor said. “The out-of-pocket cost of prescription drugs, especially for those suffering from cancer, heart disease or other life-threatening conditions, already puts a strain on many Missouri families,” Gov. Nixon said. JEFFERSON CITY - In response to a May 17 request from Gov. Jay Nixon, the U.S. Small Business Administration (SBA) is making low-interest disaster loans available to residents and business owners in Jefferson County. The declaration also makes assistance available in the contiguous counties of Franklin, Ste. 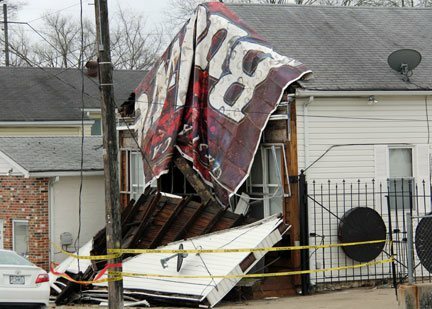 Genevieve, St. Francois, St. Louis and Washington that were affected by the severe storms that occurred in Missouri from April 16-26. 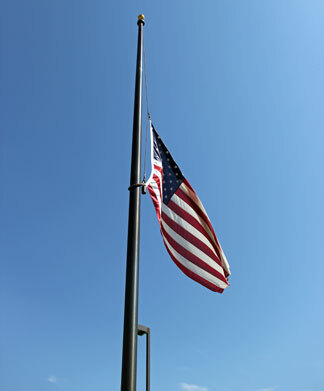 JEFFERSON CITY – The flags of the United States and the State of Missouri at all government buildings in Missouri will be flown at half-staff from sunrise to sunset on Wednesday (May 15) in honor of Missouri’s Peace Officers Memorial Day, so designated by a 1996 state law. The day commemorates the sacrifices of the federal, state, county and municipal peace officers who have been killed or disabled in the performance of their duties. 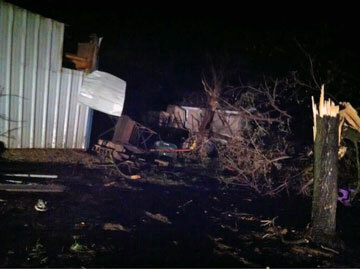 Photo of an area inside a mobile home park which suffered large amounts of damage in Sullivan, Mo. JEFFERSON CITY, Mo. - Gov. Jay Nixon declared a state of emergency in Missouri last night after a system of strong storms and tornadoes caused damage in the St. Louis region and other areas of the state. Tornado touchdowns were confirmed in the St. Louis area on Wednesday night. Strong thunderstorms and straight line winds also caused damage and power outages in southern Missouri.